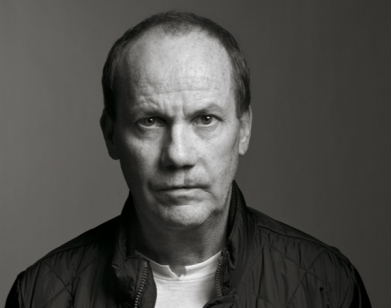 Richard Prince has been in the news a lot recently after something of an extended absence, and with good reason. As we discussed in a recent post, Prince's latest exhibit consisted of photographs taken directly from other people's Instagram account, enlarging the photos, printing them and then putting them up for sale for a rumoured $90,000 apiece. Naturally, the photographers whose images he used were less than impressed, and at least one has begun to explore the possibility of some kind of formal legal action. Prince is no stranger to this kind of appropriation, and in fact has decades of this kind of practice under his belt - as well as a few legal challenges. Prince's career began in the mid-1970s, with an appropriation of a photograph used in a Marlboro cigarette billboard advertisement. Somewhat surprisingly, this photo recently sold at a Christie's auction for over $1 million USD, making it the first "rephotograph", as they are apparently known, to earn the honour. The addition of fame and wealth brings a curious question about ethics into his work, especially when "his" works command such incredible prices, of which the original creators never see a dime, naturally. It's one thing for a starving artist to challenge conceptions of ownership, but somehow seems to be an entirely different matter when the artist in question happens to be worth millions of dollars. Speaking on the subject of found photography, Prince said, "Oceans without surfers, cowboys without Marlboros…Even though I’m aware of the classicism of the images. I seem to go after images that I don’t quite believe. And, I try to re-present them even more unbelievably." As artistic statements go, it's perhaps not the most elegant, especially when viewed in the context of his Instagram exhibition, which is entitled New Portraits, all of which have sold. Regardless of how you feel about Prince or his work, one of the most interesting things to happen from his work is the feedback loop he created by (possibly without awareness) took the images of other professional artists and models. The easiest way for them to fight back against this appropriation of their work is to turn the tables and reappropriate their own images of his images, although they seem to be lacking in the financial success area at the moment. Many legal challenges have been fought against Prince, but so far, he has somehow managed to win every single one. We'll keep a close eye on this ridiculous circus, and let you know how it develops!